When David got back from Alaska, he gave Faith and Shawn each a furry friend. For Faith he gave a bumble bee and Shawn a tiny puppy. 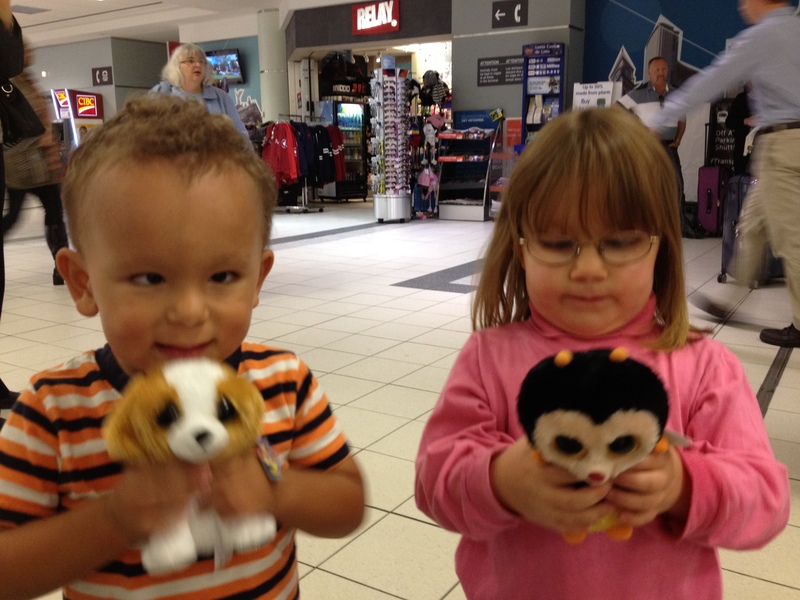 Both kids named their furry friends on the way home from the airport. Faith of course, right away named her bumble bee David. But Shawn called his puppy Daddy. The next morning I somehow got in Shawn’s bad books so he named his puppy Mommy. When I picked him up from daycare that night I asked what the name of the puppy was and he told me it was Denita. Then after about two minutes he told me the puppy’s name was Becky. Then the name changed to Joel. By the time we got home Shawn had changed the name of his puppy to David. And it has been that ever since. So both of the furry friends the “real” David gave to our kids are now called David. Of course. Entry filed under: Family, Friends, Fun. Tags: Becky, bumble bee, David, Denita, Faith, Joel, puppy, Shawn. I don’t ordinarily comment but I gotta state thanks for the post on this one :D.